Wow! I love everything about Complete Oriental Medical Care! It is an amazing place! I initially came in for a consultation about an old shoulder injury that limited my mobility and caused me regular pain and discomfort. I have been so happy with the results on my shoulder, which have been cumulative and long-lasting, but also on innumerable other benefits of acupuncture: I sleep much better, I have a greater overall sense of health and well-being, and not having daily pain and discomfort has freed me up to return to things I had let go (rollerblading, certain types of exercise). Dear Mr. Sonmore, Thank you for helping me deeply change my reality of health. My healing sessions with you have been an integral part of my recovery and well being. You helped me find my way from the suffering of illness to the joy of healthfulness. When I came to you for help I felt like I was a mess, and had questionable hope for myself. I was recovering from a concussion, dealing with severe Tinnitus, having strong withdrawals from a prescription drug, very overweight with high blood pressure, and dealing with other issues. In the time that I received healing from you, my head cleared up, my tinnitus improved about 70 percent (and still improving), I was eased through the entire drug withdrawal, my weight went down to a safe level, and my blood pressure went from 140 over 100 to 120 over 80 (verifiable through medical records). I did not expect to experience so much healing with my whole body, mind, and spirit. 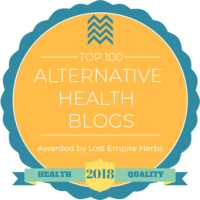 You helped me go from hopelessness to empowerment and commitment to a lifelong path of holistic health with oriental medicine as an ongoing part of my well being. 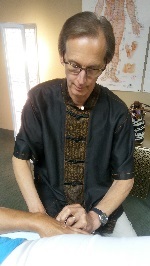 I have been a patient of acupuncturist Steven Sonmore’s at Complete Oriental Medical Care for almost 4 yrs and I can attest that he has an amazing gift of healing. 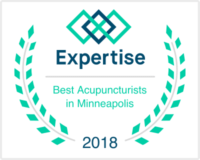 His compassionate approach combined with his intuitive feel for acupuncture & Traditional Chinese medicine make for an incredible transformative experience. He has helped me with everything from the infertility and debilitating pain of Asherman’s syndrome and endometriosis, to morning sickness, hormonal imbalances and anxiety. I’ve been seeing Steven Sonmore for over a month for trigeminal neuralgia 3 times a week. I suffered for 6 months not really knowing what I had. I saw 3 specialists and finally had my diagnosis. I am a researcher at heart and I knew that this was not a disease I wanted to have. The pain was so awful and I never knew what would set off a shock that would go from my nose to my eye to my forehead. The last specialist I saw gave me a prescription for gabapentin. After reading the pages of side effects that were possible, I decided to try accupuncture and I wanted to find the best person I could find. I feel Steven is that person. I came to Complete Oriental Medical Care having no previous experience with acupuncture and seeking relief from side effects due to cancer treatments and medications. I did not want to take additional medications to try to relieve the side effects, and other attempts had failed. I suffered from severe hot flashes, an aching neck and stiff joints. The symptoms interfered greatly with my work and home life. I felt relief following my first treatment – the hot flashes immediately decreased in frequency and intensity. The hot flashes had been waking me up and keeping me awake throughout the night, but with treatment that rarely happens now. The aches have also greatly decreased, I have a greater range of motion, and I am much more comfortable. I am now able to sleep and can function during the day. I’ve been treated by Steve for over 10 years. He’s helped me with a few different health issues. I believe he has a very thorough understanding of acupuncture and cares deeply for his patients. Three years ago I was at the height of my physical fitness. I ran, I lifted weights and ate healthy. Then, everything changed. Almost overnight I developed various musculoskeletal pains and immense fatigue. These symptoms became so debilitating that I had a difficult time just doing the basic everyday tasks of dressing and driving to work. I tried conventional medicine for a time, but my condition continued to get worse. It was clear to me and my wife, who is a nurse, that this approach wasn’t going to improve my condition. I have suffered with bursitis in my hip for many years. The doctors just want to shoot it with cortisone and it was at my maximum number of shots. My last massage therapist couldn’t touch it. I decided to go with Steven’s Acupuncture Weight Control and it is one of the best decisions I’ve made. He taught me what foods would be healthy to eat, put me on natural supplements and I lost 20 pounds in 6 weeks. And it wasn’t hard at all. The program has also taken care of other issues I was having like acid reflux, headaches and just not feeling well. I feel great! I’m highly satisfied with the level of care provided by Steven Sonmore. I came in with knee pain. I twisted my knee in December 2008 and had chiropractic care for most of 2008. I decided to try another non-traditional approach to healing my knee – acupuncture. It’s a miracle I even made an appointment because I’m very needle phobic. And you know there are needles involved with acupuncture – so it was a leap of faith. I researched on the web for acupuncture locations close to my home and for recommended acupuncturists. I found complete Oriental Medical Care, read over the website and was impressed. I called, made an appointment and was greeted warmly by the office when I arrived. I’ve had five treatments and my level of pain lessens with each treatment. I’m now able to stand on both feet without adjusting the position of my knee. I’m able to go up and down steps without holding on to both railings. I can lift my knee up to put on shoes without pain. I have been coming to Steven Sonmore since July 2009. He has treated me for many symptoms and helped with many issues my traditional Dr. could not help with. I would explain my painfully dry skin to my traditional Dr., who would tell me to use lotion. Lotion did not help. My skin was so dry it could not absorb the lotion. When I explained my predicament to Dr. Steven, he knew exactly what treatment I needed. After a few weeks, my skin felt moisturized from the inside out. Now, when I apply lotion it soaks into and can nourish my skin. I also have sensitivity to wheat – Dr. Steven treated me a few times for digestion. I cannot tell you how wonderful it is to enjoy a simple sandwich once in a while. Recently, my childhood Chicken Pox virus re-surfaced as Singles. An appointment with traditional Dr. gave me steroids, and anti-viral but no hope of relief the excruciating pain flowing through my nerve channels. One appointment with Steven and my pain was cut in half. Another appointment brought relief by another half. I came to Complete Oriental Medical Care with a history of chronic headaches and abdominal pain. I also was experiencing anxiety with low stamina. After my initial exam, Steven Sonmore told me, “I can help.” This was music to my ears. I came to Complete Oriental Medical Care seeking relief from moderate to severe Peripheral Neuropathy in my lower legs. I had been tested by neurologists for every medical reason for the neuropathy and all tests came back negative. My diagnosis from them was Idiopathic (undiagnosed) Peripheral Neuropathy. This occurs as we age and the only treatments for relief from pain-numbness are rather severe western medicines (anti-seizure drugs). I decided to seek another form of treatment and thankfully found complete Oriental Medical Care. After the very first treatment from Steven I began to feel relief from the pain, numbness and burning-tingling in my lower legs. As an added bonus I experienced an overall sense of well-being and oneness with the world and myself!! My initial goal was to have right shoulder pain in three places treated. Lap swimming in an outdoor municipal pool, exclusively during the summer, was probably the cause of these aggravations, especially so during the previous summer when I had put in a lot of laps than I have every done before. I have had physical therapy previously, but I never was completely pain free. By the end of about 14 treatments most of the pain was alleviated. In the last treatments, I also asked him to treat tinnitus in my right ear, improve my lung function (I have been diagnosed with asthma), and alleviate sleep problems and a relativity small problem of urination at night. Somewhat to my surprise, all of these conditions were improved. Steven did state that my shoulder problems would be “cured.” Halfway through my swim season, where I have slowly increased my laps, I have had no shoulder problems. Also, the improvement of the other conditions has not changed. 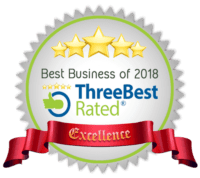 I came to Steven Sonmore of Complete Oriental Medical Care after having a poor experience with another doctor of Traditional Chinese Medicine. My personal health goal has been general wellness and cancer prevention after an earlier diagnosis and treatment of breast cancer. After my first consultation with Steven, it was apparent that he had a depth and passion for this type of medicine that was unsurpassed. The ancient form of Chinese acupuncture he provides has been the most effective treatment I have ever received. After I started to see Steven, he identified some issues with my immune function which led me to discover my breast cancer had returned. Now that I am in treatment and receiving chemotherapy for my second diagnosis of breast cancer, his care has been instrumental in my recovery. Any pain from surgery, or nausea issues I have had, have been treated with almost instant and lasting relief! Even my doctors have been surprised how pain free I have been! Chemotherapy has been very bearable with his treatment. I also appreciate the amount of research Steven does before prescribing herbal formulas. When he does suggest something, he provides the patient with clinical information about the product. It has been very useful and informative for me and I have been able to bring this information to my doctors and oncologist. The herbal formulas Steven uses are only the highest quality. I went to see Acupuncturist Steven Sonmore when I had the worse sciatic flare up since my second back surgery. To be honest, I had little faith that the nerve pain would go away, let alone the constant back pain that has been with me since 1995. — Persistent cough–never went away…Steven kicked it with one point! I don’t cough anymore! — Low back pain–has brought relief to my low back. — Nerve pain–not sure how to describe this, but you know how some days you just wake up and something really hurts? He’ll get rid of it. My hands, neck, knees, and head have benefited from this. — Stress–helped work thru stress and feel balanced. — Sleep–evened out my sleep cycle. — Stomach–terrible indigestion and heart burn (to the point where I couldn’t work out and had trouble sleeping) averted! Call 612-866-4000 to schedule your appointment!